I was a sixteen year old looking after these children and other ones at this Summer playscheme. My first summer job and what an experience. I loved it as much as the children! The two girls together with blond hair are twins- there farther used to run the Bull and Badger – if that helps. 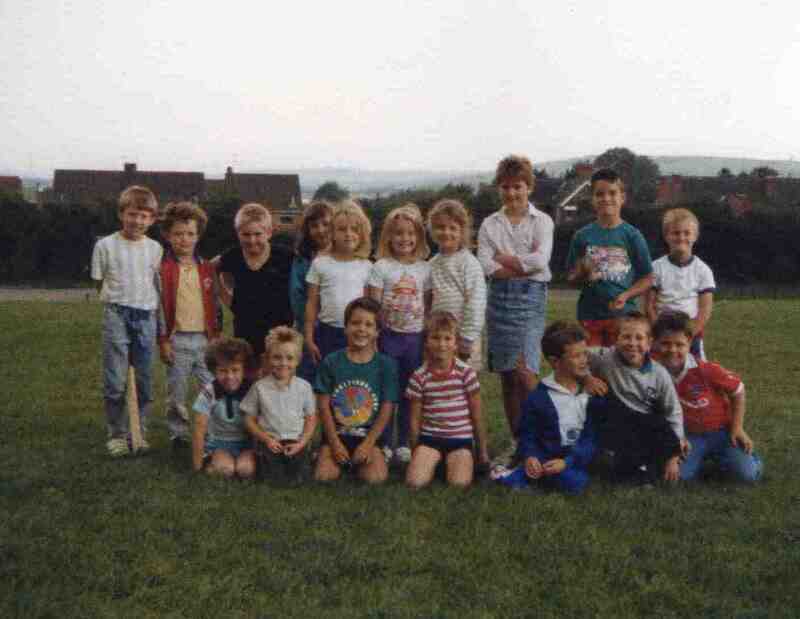 Ryan Gascoyne front 3rd from right….and Luke burden back 3rd from left?